The Copernicus Marine Service offers a wide range of oceanographic products: observation products (satellite and in situ) and numerical modelling products. These various produits, gathered in a unique catalog, cover the global ocean and the 6 European basins: Arctic, Baltic, northeast Atlantic north part and south part, Mediterranean Sea and Black Sea. These products inform on physical and biogeochemical states of the oceans. They cover long temporal periods starting from the 1990’s (sometimes before), or near real-time for observation products and several days forecast for modelling products. These products were designed by several European producers and distributed by the Copernicus Marine Service via an online catalog. Mercator Ocean provides numerical modelling products for the global ocean in this catalog. 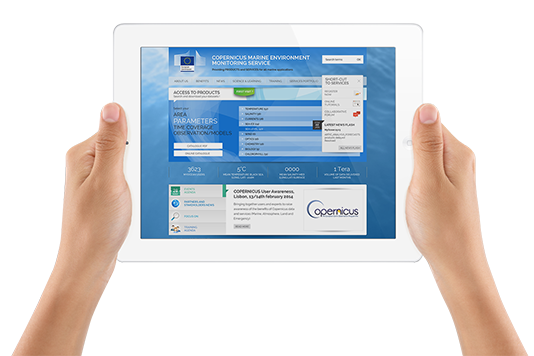 Choose online products form the Copernicus Marine Service catalog, register online and download them. The Copernicus Marine Service is open and free according to the Service Commitments and Licence. If you have any question, feel free to reach servicedesk.cmems@mercator-ocean.eu or post your question on the CMEMS forum.